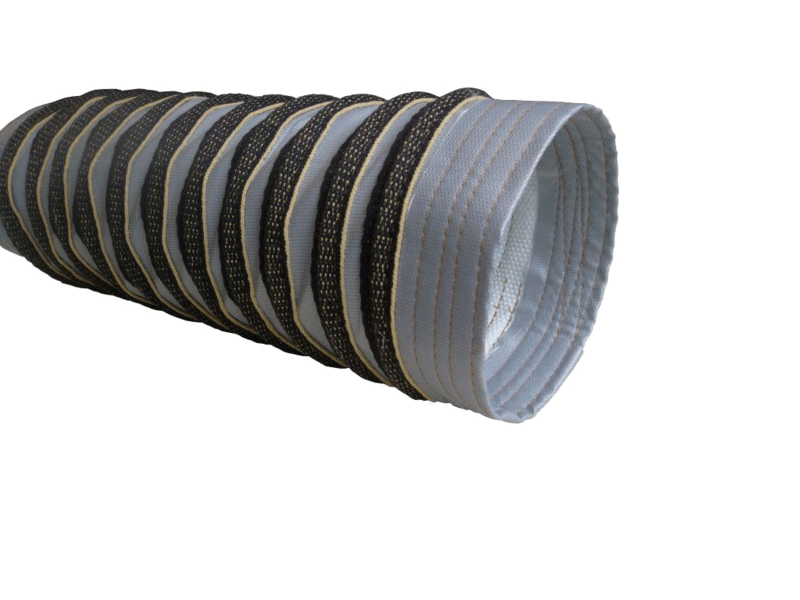 The hand-sewn and robust high temperature hose type HTG has an incorporated steel wire helix and external scuff strip as well as wire free cuffs at each end. Availabe in the temperature range of 200°C; 350°C; 450°C; 600°C; 750°C. It is possible to combine different HTG hose types with each other for example 2m HTG 450 with 8m HTG 200. The exact length of the hose parts must be specified when placing the order. Wire free cuffs at each end in order to use flat hose clamps. For decades S.Tec Germany has been a successful leader in the field of selective extraction systems of gases , fume and dust.